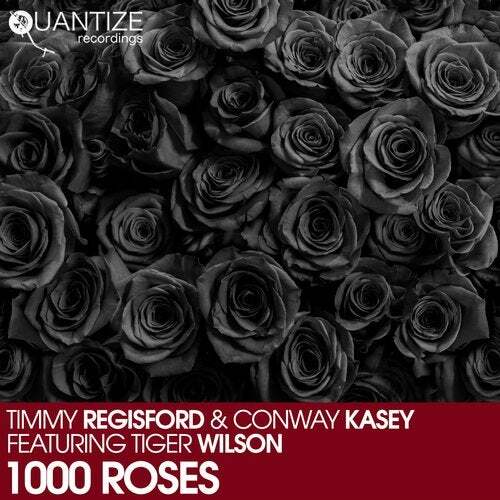 Timmy Regisford & Conway Kasey ft. Tiger Wilson "1000 Roses? ?1000 Roses? is just the right song for this time of year when love and music merge together in melodic bliss. Timmy Regisford and Conway Kasey marry classic soulful house sounds with Tiger Wilson's romantic vocals. The union will warm any heart and excite any dancefloor. Only in emotion and dance can you find such a sweet sentiment compelled by musical rhythm and lyrics. Timmy and Casey offer two mixes that deliver the true soulful dance vibe. Between the two incredible Vocal Mixes and instrumentals in this package, you will have an arsenal to move your dance floors, hearts, and feet. The bumping bass and percolating production shine under Tiger's stellar vocal performance making ?1000 Roses? a modern dance classic!